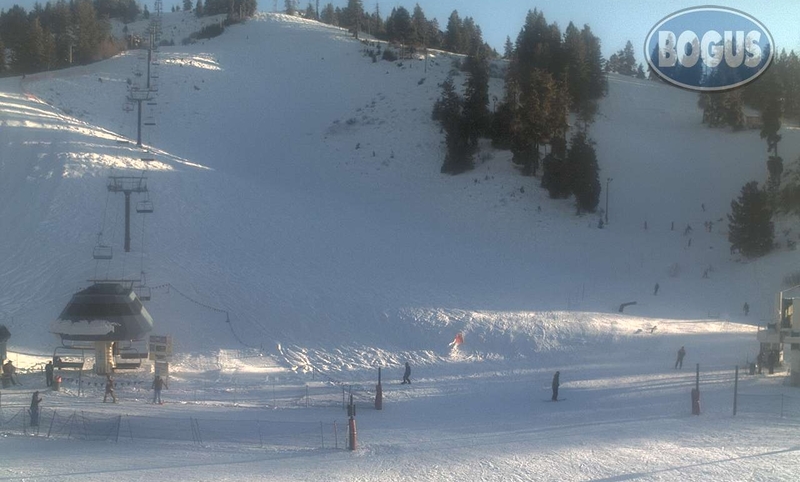 Bogus Basin is located 16.5 miles north of Boise and is open 7 days a week during the season. It offers night skiing with lighted trails, including 5 km of lighted nordic trails. There are also snowshoe trails and a tubing hill, child care facilities, and 3 lodges. It has a base elevation of 5800 ft. with a vertical rise of 1800 ft, 7 lifts including 2 high speed quads, and 51 trails.